Me and my dad. Christmas, 1984. You are here: Home ∼ 2013 ∼ November ∼ Me and my dad. Christmas, 1984. We’ve been having a bit of a clear out recently, and last night, these three pictures were unearthed. I remember that scene like it was yesterday. 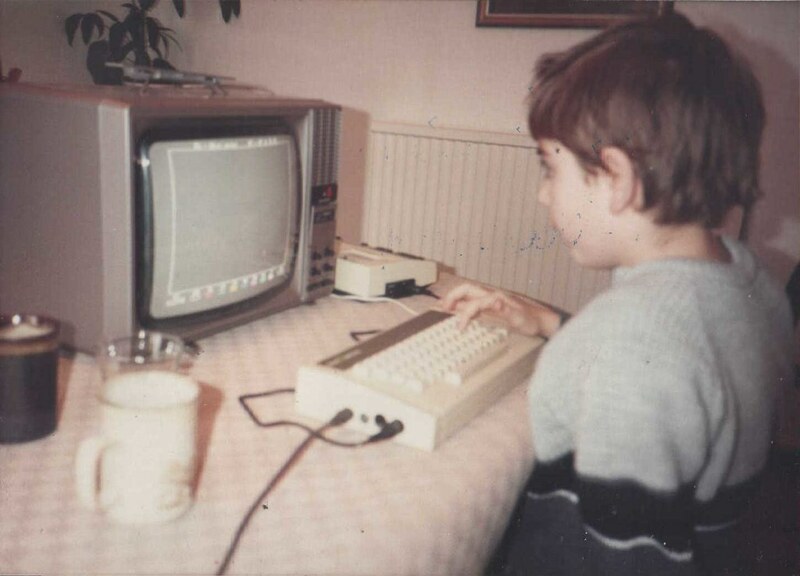 I got that computer – a 32KB Acorn Electron for Christmas and it was that very computer that hooked me on creating stuff with computers. 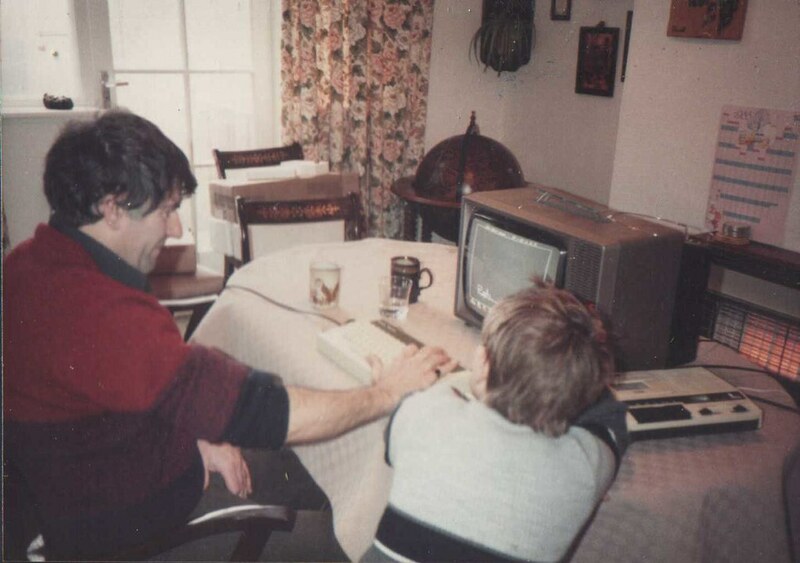 That photo is of me doing some actual graphics on a extremely primitive graphics package. 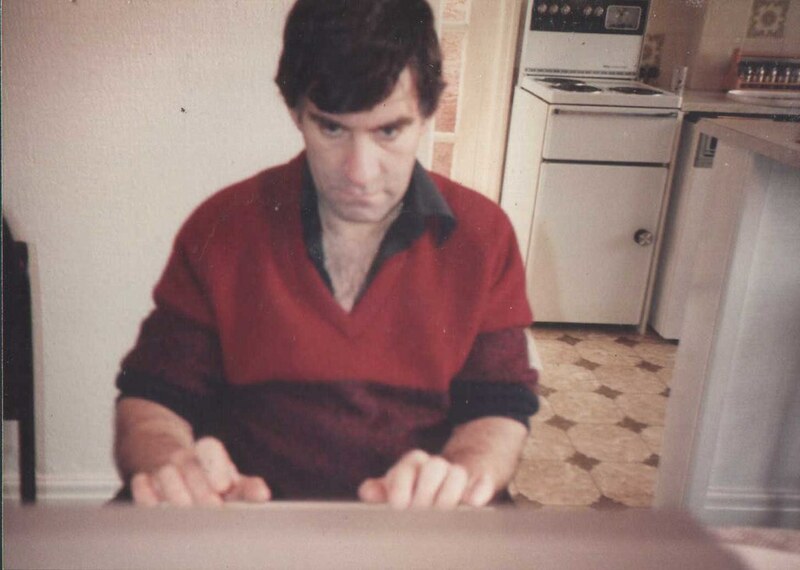 The photo of my dad is quite amazing. He’s not that much older than I am now in this shot. I miss him. Not quite as wow factor 10 as the photos of my dad and I that had developed from a camera that had been sat around for about 30 years – but still – a pretty cool find.